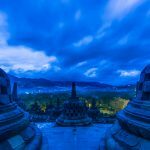 This is perhaps the hardest travel guide for me to write… not because I don’t know the city well enough, but because I know it so well. At one time, Melbourne was a dream; then it became an aspiration which turned into a reality. Now, even though I don’t currently live there, it will be the place that I call home. 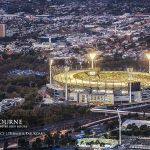 The Victorian capital city is consistently ranked as the most liveable city in the world, is the sporting capital of the world and the cultural centre of Australia. It’s a big city with a small town feel. It offers four seasons in one day, and has the best coffee in the most unlikely of places. Melbourne has great access via air from across Asia, the Middle East and the United States. Qantas is Australia’s national carrier and flies from a range of International destinations. Emirates and Singapore Airlines provide great connections to Asia, Europe and beyond. Most major carriers fly to Tullamarine Airport in Melbourne. Once you arrive in Melbourne airport, you will need to get yourself to the city. You have the option of hiring a rental car. Hotels will offer on site parking. You could take a taxi which will cost about AUD70 to get into the Central Business District (CBD). Alternatively, you could take the Skybus to Southern Cross Station for AUD15. The Skybus does offer transfers to hotels within the CBD. While Melbourne is very walkable within the city, if you are planning on getting out of the city, you will probably need a car. If you’re only planning on being out of the city for a couple of days, consider hiring a car from one of the outlets in the city. Australia is a developed country and is generally safe. Like most developed nations, visitors may need a visa to enter. Australia participates in the visa waiver program and has reciprocal arrangements with a large number of countries permitting either visa-free entry, or a visa-on-arrival arrangement. Australia is also an island, albeit a very large one, with no significant barrier from the winds coming off the Southern Ocean. Irrespective of the season, temperatures here can drop very suddenly, without warming. It is usually advisable to pack layers of clothing, and include a warm jacket, hat and gloves. You will also do a fair bit of walking around Melbourne, so it’s important that you have a comfortable pair of shoes. Regardless of the season, the Australian sun is harsh and will burn unless you take precautions. A hat, a good pair of sunglasses and sunscreen are essential. Australia is also very dry. Moisturiser and lip balm will help prevent cracking. Also, carry a water bottle with you, as you will dehydrate while being outdoors. Australia also offers generally good mobile coverage. Melbourne has excellent mobile coverage across the city. The nation is at the forefront of mobile technology. Once you arrive at the airport, consider getting a SIM card. Given that I work for one of the telecommunications companies in Australia, I’m going to refrain from recommending a particular provider. Melbourne is a very walkable city if you’re planning on staying within the city. Trams within the Hoddle Grid within the CBD are free. There is also a free City Circle tram that does a loop around the Hoddle Grid. Beyond the CBD, Melbourne is connected by a network of buses, trams and trains. 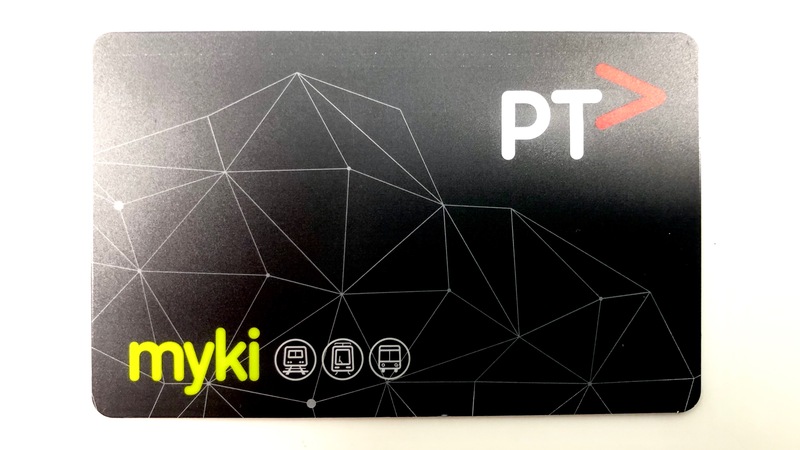 Ticketing is electronic using a Myki card that can be purchased at any train station or 7-Eleven. Trains are somewhat infrequent and can be 10 to 15 minutes apart given the time of day. Melbourne used to offer a tourist shuttle bus. This has ceased to operate since September 2017. If you’re planning to get out of the city, you’ll want to get a rental car. Cabs can become expensive. The best cab-hailing app in Australia is 13CABS. (You can also dial 13CABS from a mobile phone to order a taxi). Uber operates in Melbourne. Australian cities tend to shut down after 6pm except for restaurants. Melbourne is the same, though it does offer late night shopping on both Thursdays and Fridays. The city can take a deserted look after 7pm in the early part of the week, especially if you are used to life in Asia. Melbourne is best visited between late spring and late autumn. Being in the Southern Hemisphere, seasons are reversed. You’re best off visiting between September through to April. Australian winters are mild, but are very rainy. Melbourne tends to take a somewhat depressive feel in the winters; hence I’d recommend that you avoid the southern winter. Spring (September through November) is generally the windiest season. New Years Eve – the city becomes a party zone, and fireworks are set off in the middle of the night. Hotels do fill up. Australia Day – January 26th. Parades are held, as are citizenship ceremonies and several ceremonies of National Pride. The Australian Open – all of January. You are likely to bump into tennis royalty, and spot several A-list celebrities in the year’s first Grand Slam event. Hotel prices tend to jump around this time of year. White Night – the third Saturday of February. 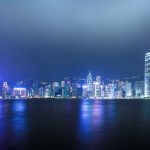 The city becomes a party zone and lights up several public buildings. Moomba – four days from the Friday preceding the 2nd Monday of March. This is the labour day holiday. A parade is held along St. Kilda Road. The Australian Grand Prix – Held around the last weekend of March. Once again, hotel prices tend to jump around this event. ANZAC Day – Observed on April 25 every year. Ceremonies are held at the Shrine of Remembrance. A parade is held along St. Kilda Road. The Food and Wine Festival – The First Weekend of June. Southbank is generally taken over by foodies. Melbourne Fashion Week – Last week of August to the 1st week of September. Bourke Street Mall has several runway events as retailers promote the latest fashions while supermodels make their appearances. Grand Final- Held around the third weekend of September. Once again, hotel prices tend to jump around this event. A parade is held on Collins Street on the Friday of that weekend. During these festivals and events, hotel prices tend to increase, and parts of the city may experience traffic disruptions. Being a Melburnian, I’d never needed to consider this. However, having now gone back to visit when work takes me there, I can recommend the Sofitel at 35 Collins Street, the Marriot on Exhibition Street, and Oaks on Lonsdale. The Sofitel and the Marriott are chain hotels with their signature standards. Oaks on Lonsdale is a serviced apartment – a fully furnished apartment with kitchen and laundry where you can come and go as you choose. Your room will be cleaned once a day. This is generally cheaper and a bit more convenient if you like a bit of freedom. I can also recommend the Quest Serviced Apartments at Docklands. All of these locations are in the free tram zone. The itinerary below assumes that you’re planning on using public transport and remain within inner Melbourne. Melbourne’s CBD lies on a grid called the Hoddle Grid. It is easy to navigate. Streets from West to East that run in a North-South direction are called Spencer, King, William, Queen, Elizabeth, Swanston, Russel, Exhibition and Spring Streets. The major streets from North to South that run in an East-West are named Flinders, Collins, Bourke, Lonsdale and LaTrobe streets. They are minor streets between them are Flinders Lane, Little Collins Street, Little Bourke Street, and Little Lonsdale Street. I’d recommend starting your walk of Melbourne’s Hoddle Grid at Melbourne Central. It’s a shopping centre covered by a glass cone above a brick building called the Shot Tower Museum. This building has now been converted into retail space. Under the cone in the foyer is a large mechanical clock that chimes the tune of “Waltzing Matilda” on the hour every hour. The clock has several Australian animals that move as the clock chimes. Across the Swanston street from Melbourne Central is the State Library of Victoria. Yet another beautiful Melbourne building, the LaTrobe Reading Room is the centrepiece that one should really see while in the neighbourhood. Opened in 1913, the octagonal design under the dome is something out of Harry Potter. A visit here should take no more than 30 minutes, though its easy to get carried away. 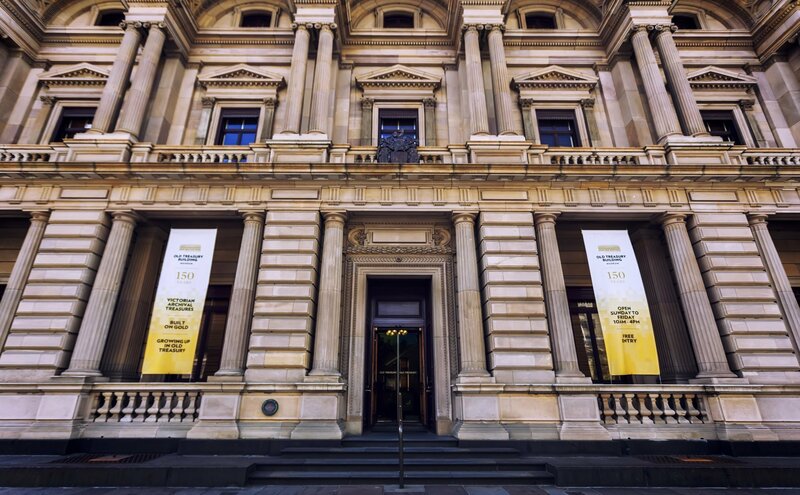 The State Library of Victoria opens at 10:00am and is open to 6:00pm. The last entry to the LaTrobe reading room is 5:00pm. 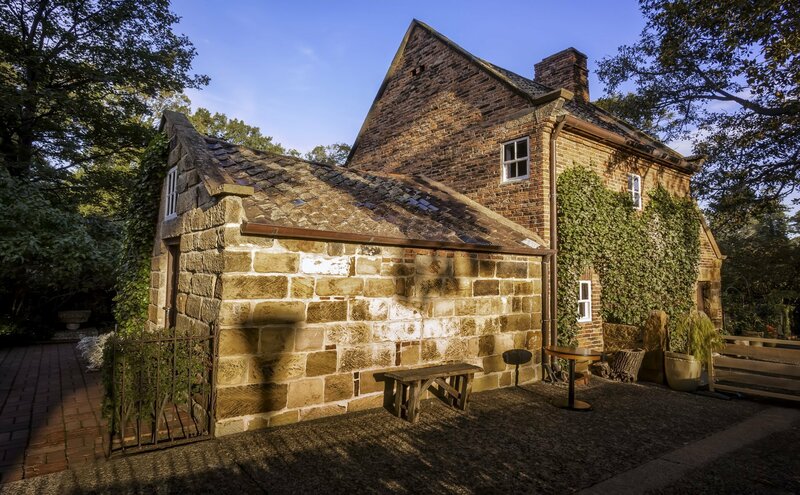 Melbourne is home several beautiful period buildings and this walk across the Hoddle Grid will take you to several. As you continue to walk up La Trobe Street, take a left at Exhibition Street and walk through the Carlton Gardens to get to the Royal Exhibition Building. This is a World Heritage site that was opened in 1881 to host the Melbourne International Exhibition. It later hosted the Parliament of Australia. This building was nearly torn down and was saved by a single vote. The interior of this building are definitely worth a tour and can only be visited through guided tours. These tours are held at 2pm every day and cost AUD10 for adults. You need to call ahead to book tickets – they do get sold out. Bear in mind that this building is regularly used for public events such as the Flower and Garden Show, and the Classic Auto Show, to name a few. If you’re game, right next door is the Melbourne Museum, housed in a modern building, and home to Melbourne’s iMax theatre. 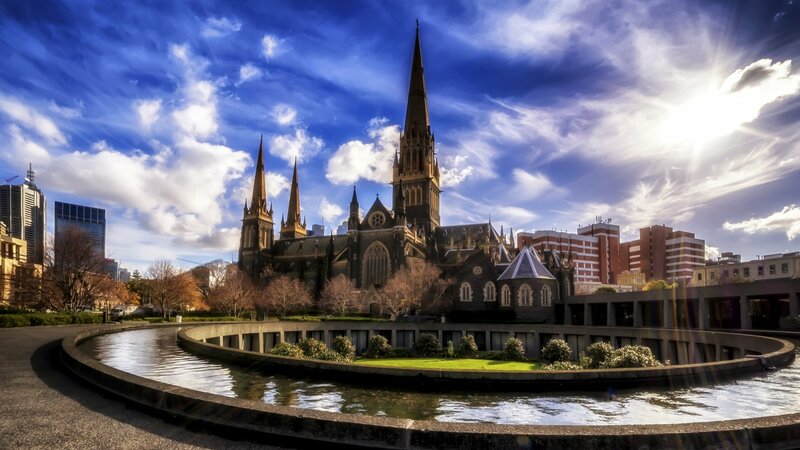 From here, wander across through the Carlton Gardens, across to St. Patrick’s Cathedral. This is one of two large cathedrals in Melbourne, which offer very interesting Gothic Architecture. The area is occasionally used to film a local TV production. From here, wander across to the steps of the Parliament of Victoria. The building is open from 8:30am to 5:30pm from Monday to Friday. Free tours run here throughout the day. Parliament may be in operation on specific days. It is open to the public to observe proceedings. The architecture within the building is worth seeing. The image above is the ceiling of the Legislative Council, and is inlaid with gold. Further down the road at the top of Collins Street is the Treasury Building. This, along with the Parliament of Victoria, is a favourite location for young couples to have their wedding photographs taken. This is the Old Treasury Building. If you have the time, take a moment to wander inside, particularly into the basement, where the vaults have been recreated to give you a sense of how gold was once stored. From here, wander down Collins Street and stop at St. Michael’s Uniting Church at the corner of Russell and Collins Street. The church is fairly modest on the outside. The inside has a very beautiful amphitheatre. 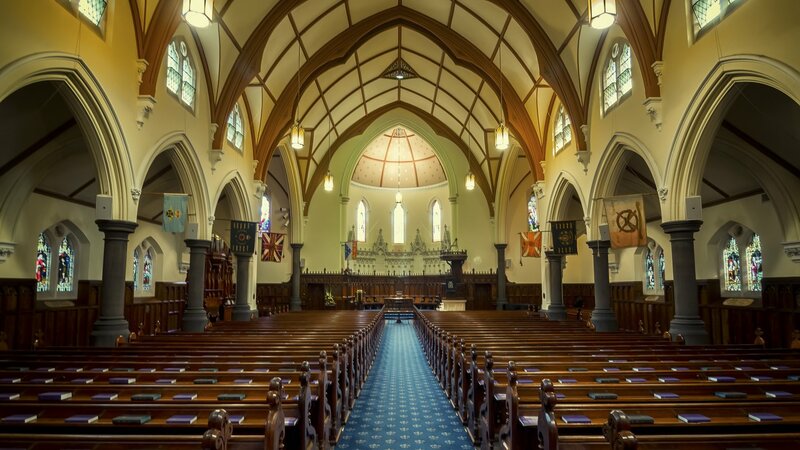 Occasionally, organ recitals are held that are free to the public. Scot’s Church is on the other corner of Collins and Russel street. This is a more modest church with a very classical feel to it. They welcome all visitors. From here, cross the road, and walk down Russell Street before turning into Flinders Lane. As you walk down the hill, Hosier Lane will be on your left. You cannot miss it. It is a cobblestone street that is covered in graffiti. And I can guarantee you that it will look completely different from what is pictured above. This is one of Melbourne’s public art spaces, where young artists are encouraged to put their spray cans and stencils to work. Murals are painted over regularly. A few years ago, the city of Melbourne whitewashed the walls in this alleyway overnight. By the next evening, all the walls were covered with new pieces. This is a popular stop for tourists and the obligatory Melbourne selfie. Hosier Lane will exit onto Flinders Street. St. Paul’s Cathedral will be on the corner. It is worth a visit to view its architecture. This is also Melbourne’s busiest crossing, and is technically the centre of Melbourne. Across the street are two of Melbourne’s most well known landmarks. On the Southeast corner of Flinders Street and Swanston Street is an ultra-modern building with a very unorthodox exterior. This is Federation Square. It is home to the Australian Centre for the Moving Image (ACMI) and SBS Broadcasting. This is also where the Melbourne Tourist Information Centre is. There are a selection of restaurants and cafés in the area. Flinders Street Station is Melbourne’s main transportation hub. The designs for the station were mixed up with a station for another British Colony – Mumbai’s central train station. The two cities have ended up with each other’s designs. Flinders Street Station has been restored in 2017. Across the street from Flinders Street station. a narrow laneway will lead you up to Flinders Lane. This is Degraves Lane which has a selection of Melbourne’s well know coffee shops and eateries. At the end of the lane, an alfresco dining area covered with umbrellas welcomes diners. I recommend the RMB Cafe for breakfast. Degraves Lane will lead you through Centre Place and back to Collins Street. 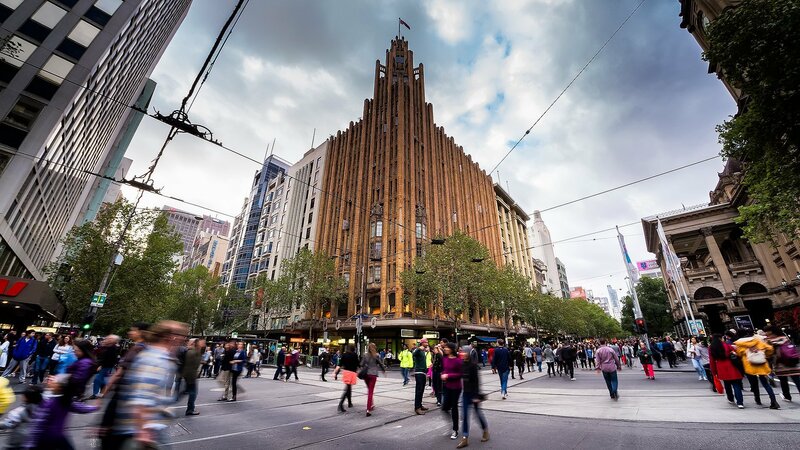 At the intersection of Collins and Swanston street, you will see the Melbourne Town Hall. This is where local government sits. Citizenship ceremonies are held here regularly. The facade of this building is used as a projection canvas around Christmas, and on White Night, and is worth seeing. Directly across the street from the Melbourne City Hall is the Manchester Unity Building. This is more impressive from the outside than it is from the inside. It serves as a small shopping centre with offices in its upper floors. It’s yet another example of Melbourne’s varied architecture styles. Continue walking up Swanston Street, and take a left turn on Little Collins Street. As you walk down Little Collins Street, there will be a laneway on your right that you cannot miss. 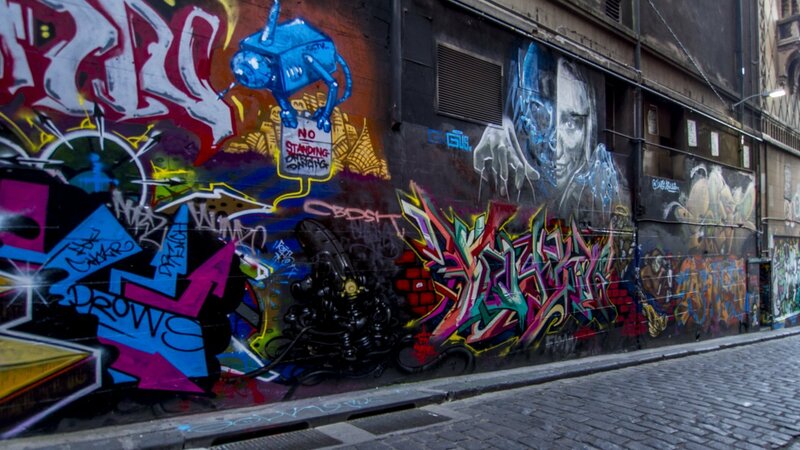 This is Union Lane – another one of Melbourne’s graffiti decorated laneways. It’s not uncommon to see photographers shooting pictures here, or graffiti artists painting. Walk through this laneway and come out at the other end. This is Bourke Street Mall. The centre of the mall is one of Melbourne’s major tram routes. Several large retailers have their presence here at this open air mall. You will also come across an assortment of buskers and street performers, and some works of art – among them is the Public Purse which sits outside the Melbourne GPO Building (which has since been converted into retail space). From here, walk through Royal Arcade. Arcades are a very classical Australian concept of small, under cover shopping centres with boutique shops. Royal Arcade is one of Melbourne’s better known ones. In this arcade, there is a place called Koko Black that sells some amazing handmade chocolates and their dark chilli hot chocolate is one of the best winter drinks that one can buy! At the end of the arcade is a classical clock flanked by sculptures of Gog and Magog – two mythical demi-gods. As you exit Royal Arcade, you will come out on to Little Collins Street. Exit right on the street, and take a left on Elizabeth Street. There will be a set of glass doors that will lead to the Block Arcade. This is my favourite Melbourne arcade. It’s architecture has a very strong Italian influence. There are several cafés that may appeal to you after a long day of walking. As you exit the Block Arcade on Collins Street, take a right and walk along the south side of Collins Street, before entering 333 Collins Street. This is an office building that has been built over what used to the Central Bank of Australia. When you walk into the foyer and look up, you will be greeted by this immense dome. During Christmas, they have a very large Christmas tree in this building which is very elaborately decorated. Continue walking along Collins Street. 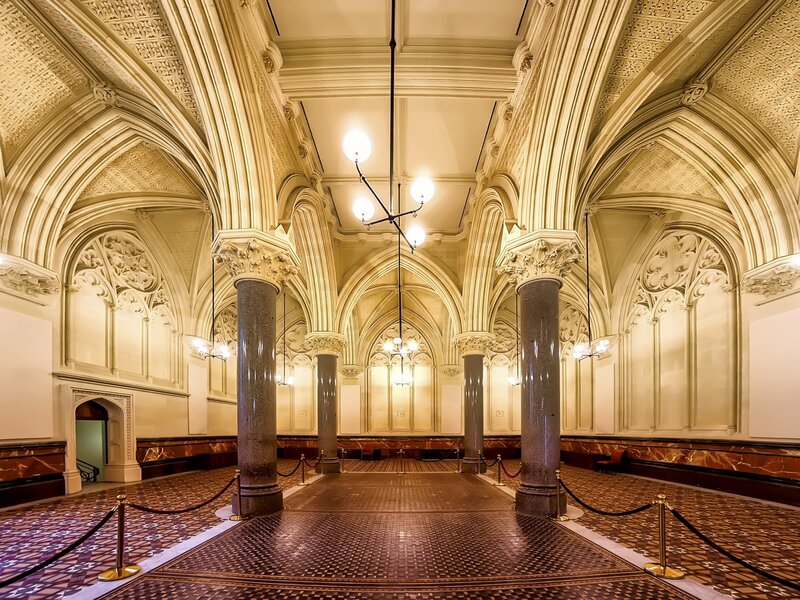 At the intersection of Collins Street and Queens Street is ANZs Gothic Bank. It’s address is 100 Queens Street. I recommend spending a few minutes to take in the interiors of this branch. The ceilings are inlaid with gold leaf, and the architectural style is very Gothic. The building is flanked by gargoyles on the exterior. The last stop is a bit of walk up and then down an incline that will take you to the Intercontinental Hotel and the Rialto Towers that are on the intersection of King Street and Collins Street. It might be easier to hop onto a tram (free in this zone) for two stops. The Intercontinental is a modern hotel that has been built within a classical building. Its dining hall sits under a transparent roof. They serve an excellent brunch, and have very decent meals on offer too. The Market Lane Bar has a decent offering of beverages. At this stage, you would have completed your tour of the Melbourne CBD. You’ll be ready to make your way back to your hotel. You can either catch a cab from outside the Intercontinental, or a tram. A word of caution; King Street is home to several nightclubs that do attract intoxicated individuals after a certain hour. While it is generally safe to walk past, I would not recommend waiting around here for too long after dark, and cannot stress how important it is to stay alert while in this area. Melbourne’s Queen Victoria Market is something of an institution. I am personally of the belief that it is just another market, but tourists seem to love it. Beyond the fresh fruit, vegetables and produce, one can find a selection of locally made Australian wines, locally made handicrafts and bric-a-brac. It’s also a decent place to get breakfast at any of the cafés close by. Also, make sure that you savour the coffee. The Market is open on Tuesdays, Thursdays, Fridays, Saturdays and Sundays, and generally closes after 3pm. Full details are at their official site. It lies on the North Western edge of the Hoddle Grid. After a tour of the market, catch a #57 or #59 tram to Flinders Street, and then change to the #75 heading east. Get off at Spring Street, and walk across to the Fitzroy Gardens. This is one of the many gardens around Melbourne’s CBD that offer its citizens some respite from the daily grind. The Fitzroy Gardens have several water features, a model Tudor village, a children’s playground, Captain Cook’s Cottage (rebuilt brick by brick which were transported from his birthplace – he was supposedly born inside this cottage), tree lined paths and a conservatory where one can spend an hour or so just switching off. From Spring Street and Flinders Street, catch a #75 tram towards Flinders Street Station, and change to a #6, #8, #16, #64 or #67 tram down St. Kilda Road to the Shrine of Remembrance. 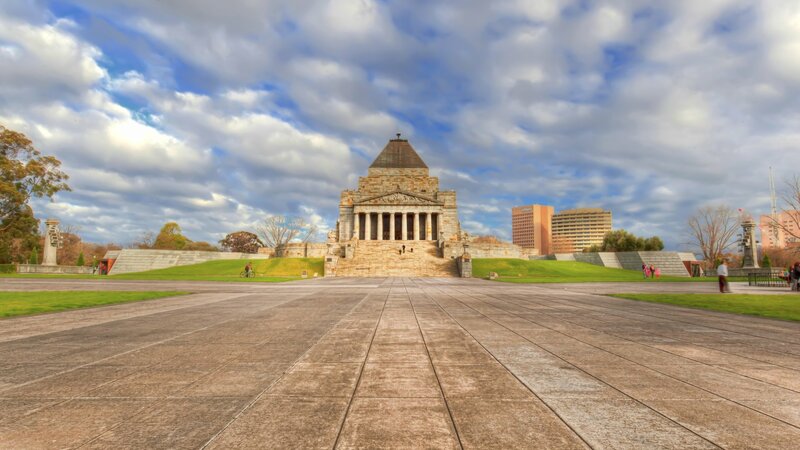 This is an Australian War Memorial, which pays homage to the Australian Soldiers who fought overseas. You can go to the terrace at the top of the Shrine and view the CBD from there. In the front is a gas flame called the Eternal Flame which is kept alight all the time. There are remembrance services every hour. From here, begin your walk back to the city and stop at the National Gallery of Victoria. This gallery has several exhibits of art which are free. There is also a paid area which has a featured exhibit that varies from time to time. The fountains in the front offer respite on a warm day. The area is generally popular with locals and tourists alike. The NGV is also home to the largest stained glass ceiling in the Southern Hemisphere. If you’re tired, this is a good place to put your feet up and briefly rest. Next to the NGV are the Arts Centre and Hamer Hall. 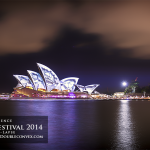 They are the centrepiece of Melbourne’s performing arts scene, and host a range of live acts. You may like to look into what is playing at the time, and book yourself into one of the shows. Both these two performing arts centres are on the edge of Southbank, with a wide range of restaurants and cafés. Southbank Promenade runs along the Yarra River, and is a popular place to take a gentle walk, find some food, and run into the odd busker. The southern bank of the Yarra offers perfect views of the Melbourne CBD. The image above was shot in 2008. The Skyline has changed since with a few more tall buildings having been built. The tall blue building is Eureka Skydeck. It is 88 floors high and offers panoramic views of Melbourne. It is very popular at sunset (several tour buses bring their passengers here to view the sun setting over Melbourne). As you walk further along, you will come across the Crown Entertainment Complex. Crown Entertainment Complex has several hotels, bars, restaurants and a casino. This area also hosts several of Melbourne’s festivals. During the Australian Open and the Australian Grand Prix, they set up large outdoor screens for the public to watch sporting events outdoors. This is a major hotspot around Spring Racing Carnival held in early November, with punters congregating for an afterparty. This area also has multiple concrete columns that shoot flames into the sky every hour after 6pm. A word of note – on days when there are strong winds (i.e. the flags are flying straight) or when there are severe fire hazard warnings, they will not turn on the flames. As you continue further along and cross Spencer Street, you will get to the Melbourne Convention Centre. This large, modern building is a where Melbourne hosts several of its major events. Along the river, you will come across a tall ship that is dry-docked. This is Polly Woodside. It is flanked by several eateries on the water. By now, you would have crossed over from Southbank to South Wharf. A little farther on is Seafarer’s Bridge which connects South Wharf to Flinders Street. There will be more restaurants on the Southern Side of the Yarra. You’re almost at the end of your walk here. A little further on, you will come across a bridge that looks like an eel trap. This is Webb Bridge. It takes a hairpin turn and connects South Wharf to Docklands Park. At this stage, you have the option of either walking back up Southbank, or catching a tram from the tram stop outside Docklands Park, or catching a cab from South Wharf DFO or the Hilton. If it’s late, I would recommend the cab option. As Australian beaches go, Melbourne’s beaches are not anywhere as nice as the ones that are up north in warmer climates. However, they still offer their own unique charm. The tricky part about a tour of the beaches in Melbourne is the time that it takes to get to them. If you’re driving, you could do them easily. However, when using public transport, it can become a bit more challenging. I would select three beach locations in Melbourne to visit. I would start with Brighton Beach. The easiest way to get here by public transport is via the Sandringham Line from Flinders Street Station (or any of the stations on the City Loop) to Brighton Beach Station. The trip takes about 25 minutes. Brighton Beach station is across the Esplanade from Green Point which overlooks Brighton Beach and the iconic Brighton Beach bathing boxes, which are a short walk further up. I used to go here in the early mornings when it is quiet. There aren’t too many places close to the beach to eat, save the odd coffee shop. However, on your way back, if you were to walk through Middle Brighton, the local shopping strip offers a few cafés to choose from. From here, I would catch the the Sandringham Line back to Flinders Street Station, walk to Collins Street, and catch the #109 tram to Port Melbourne, taking it all the way to the end of the line at Station Pier. From here, walk along the edge of the water to Princes Pier. This is an old pier that has been torn down and refurbished into a recreational area. What remains are a series of post piles. If you get hungry while you’re here, stop by Rex Hunt’s D’lish Fish for some fish and chips. While you may be tempted to eat outdoors, be warned about the seagulls. They can congregate into a large group and become somewhat overwhelming. Round the corner from Station Pier is Bay Street and Port Melbourne which has a range of restaurants and cafés on offer. As the day wears on, walk along the Esplanade towards St. Kilda, stopping at the many piers along the way. This trail happens to be a scale model of the solar system. As you walk along the path, you will find scale sculptures of the planets. The Sun is located at the St. Kilda skateboard park. At sunset, head to the St. Kilda Pier. There is a kiosk at the end of the pier that serves as a restaurant and coffee shop. Beyond this kiosk is a man made breakwater. At sunset, this attracts fairy penguins. A series of platforms have been built around this breakwater that will allow you to get close to the incoming penguins. This is not a very well known penguin spotting area (Phillip Island’s Penguin Parade is more well promoted), hence there are far fewer tourists. St. Kilda offers a lot of places to eat. Acland Street has lots of restaurants and cafés to choose from. I would highly recommend the “Go Slow Chicken” served at the Big Mouth Café on the intersection of Barkly Street and Acland Street. This is also on the #96 tram route, making it a direct route back to the CBD. This part of town is best visited early in the week. It gets very busy on Thursday and Friday nights, and on the weekends. Melbourne is a lot more than architecture, markets, gardens and beaches. It truly is Australia’s sporting and cultural capital. While visiting this city, I would also recommend wandering down to Docklands and taking a ride on the Melbourne Star – a large observation wheel that offers views over Western and Northern Melbourne and out towards the city. I recommend going here just before sunset. Docklands also offers the District Docklands (formerly known as Harbour Town), an outlet shopping mall where one can pick up the odd bargain. There is a selection of restaurants in the area. During the months of July and August, fireworks are set off at 7pm every Friday night. Melbourne is well known for its sporting culture. If you’re visiting in the summer, catch a Big Bash League T20 cricket game at either Docklands Stadium (now known as Marvel Stadium) or better still, at the Melbourne Cricket Ground (also known as the “G”). The Boxing Day test is held from December 26th to December 30th every year and is an experience that every cricket lover should enjoy. Summers also bring the Australian Open to Melbourne .The Melbourne Grand Prix is held in March. The Melbourne Cup is a horse race that stops a nation, and is held at Flemington Race Course on the first Tuesday on November. In the winters, you may like to attend an Australian Rules Football game at the same locations, or take in a rugby game at AAMI Park. AFL Grand Final is held at the MCG in September. 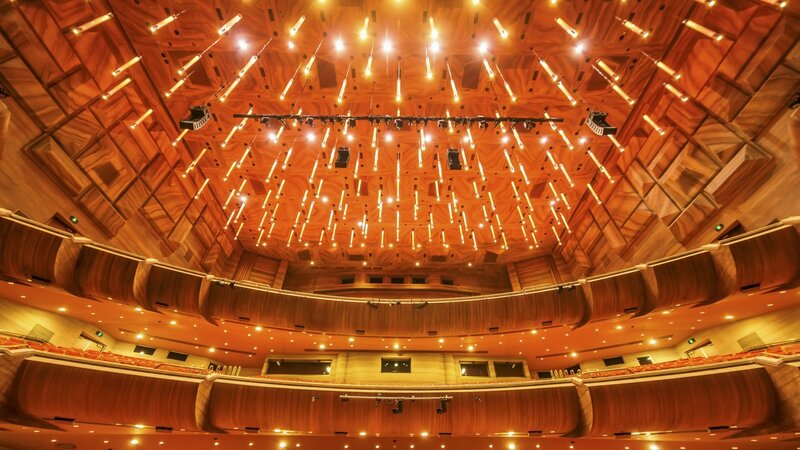 If you’re into culture, consider attending a show at any of Melbourne’s Theatres – the Princes Theatre, the Regent Theatre and the Forum come to mind. There are regular shows at Hamer Hall and the Arts Centre, or you could catch a concert at the Palais Theatre in St. Kilda. Tickets can be purchased online at Ticketmaster or Ticketek. Melbourne offers an amazing selection of food. There’s some great European food in Lygon Street (take the #8 tram north from Swanston Street in the city), and Brunswick Street (take the #86 tram north from Bourke Street), some excellent Asian food in Victoria Street (take the #109 tram from Collins Street), and some great holes in the wall in the city in Hardware Lane, Menzies Lane, and in Chinatown down Little Bourke Street. My personal favourite is a place called Chin Chin in Flinders Lane (I recommend the “Scud City” Jungle Curry). Another very well known place is the Hu Tong Dumpling Bar. Melbourne offers hot air balloon rides over the city. You can book these online at Global Ballooning and Picture This Ballooning. Last but not least, some of the best things to see in Melbourne are outside Melbourne. Some of places that attract tourists are Phillip Island, the Dandenongs, and Great Ocean Road. In closing, I’ll say this… while Sydney may be a great city to visit, Melbourne is a great city to live in. It has 4 seasons in a day, and is consistently ranked among the top 5 most liveable cities in the world. Make the most of your trip here, and have an awesome time! Your camera and lenses. 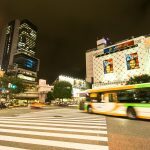 I would recommend a wide-angle lens for cityscapes, a fish-eye for architectural shots, and a mid-range zoom lens (around 24-75mm) for general street photography. 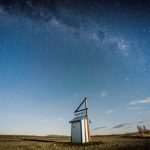 Any ND or polarising filters that you plan to use (day-time shoots only).